MANCHESTER, England -- Pep Guardiola says it was tough to replace Joe Hart as Manchester City's first choice because he was an "incredible goalkeeper," but expects the 31-year-old to receive a warm welcome from fans on his return to the Etihad. 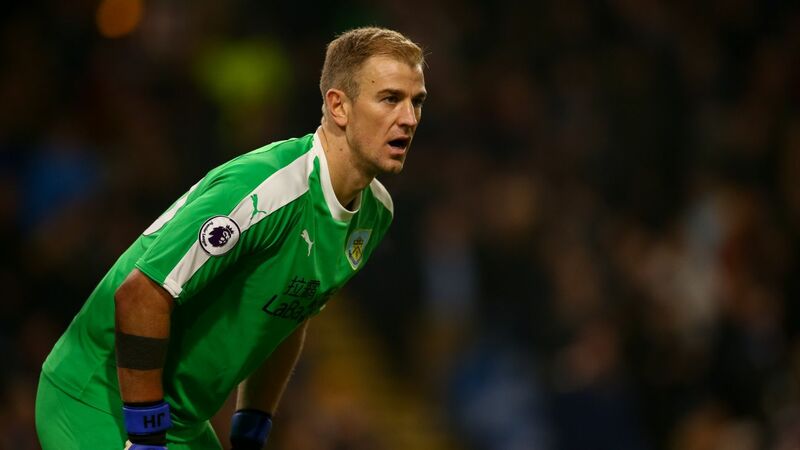 The Burnley keeper is set to face his former club for the first time on Saturday after he ended his 12-year association with City when he made a permanent move in the summer. As of Friday, the goalkeeper training pitch at the Manchester City Football Academy will be known as the "Joe Hart pitch". And just as the club did for Yaya Toure, City will mark the occasion by also unveiling a special custom mosaic of Hart on a plinth next to the pitch. What is more, chairman Khaldoon Al Mubarak will join the 31-year-old and his family after City's game against Hart's Burnley on Saturday to present him with a replica of the mosaic and a lifetime season ticket. England manager Gareth Southgate has left the door open on Joe Hart's international career, after the goalkeeper was left out of his World Cup squad. Joe Hart has completed his move from Manchester City to Burnley in a deal worth around £4 million. The 31-year-old goalkeeper, who has signed a two-year contract, will go straight into Sean Dyche's squad and is available for Thursday's Europa League clash with Turkish side Istanbul Basaksehir. Hart faces a fight to become No. 1 at Turf Moor with fellow England internationals Nick Pope and Tom Heaton as well as former Manchester United goalkeeper Anders Lindegaard. Burnley are in talks to sign Manchester City goalkeeper Joe Hart, sources have told ESPN FC. The Clarets are in the market for a new goalkeeper after losing No. 1 Nick Pope for three months with a shoulder injury. Backup Tom Heaton is also struggling with a calf injury, leaving Burnley to give a first start in two years to third-choice Anders Lindegaard in Thursday night's extra-time Europa League win over Aberdeen. Manchester City goalkeeper Joe Hart says he is prepared to move abroad again in a bid to kick-start his career. The 31-year-old has spent the last two seasons on loan -- firstly at Italian club Torino and last year at West Ham United. But after mixed spells, he lost his place in the England squad for this summer's World Cup.